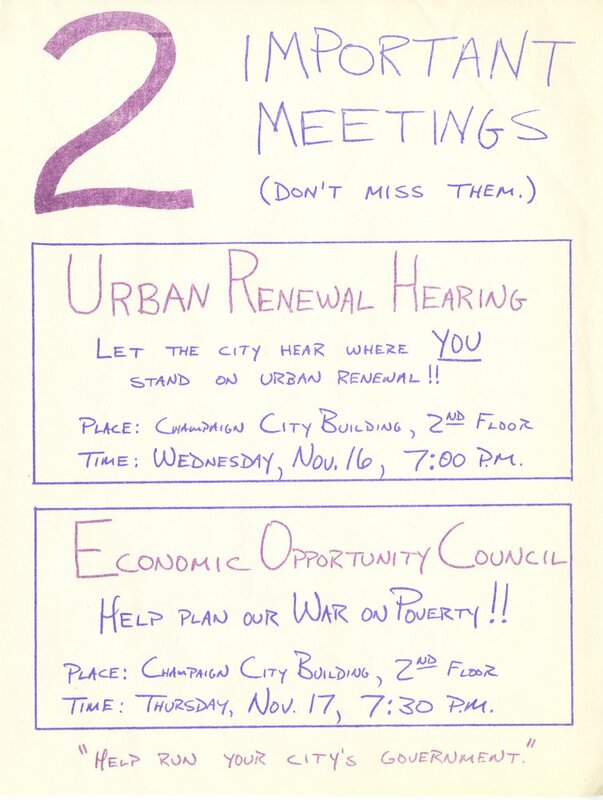 Flyer advertising upcoming Urban Renewal and Economic Opportunity Council meetings. Flyer produced and distributed by People's Poverty Board. 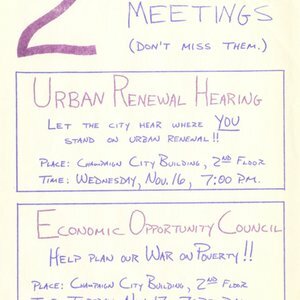 “2 Important Meetings (Don't Miss Them. ),” eBlack Champaign-Urbana, accessed April 19, 2019, http://eblackcu.net/portal/items/show/40.